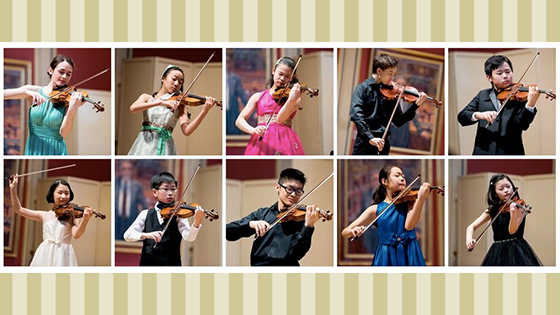 April 9, 2016, 10:07 AM · Congratulations to the 10 junior semi-finalists (under age 16) announced Saturday in the 2016 Menuhin Competition in London! See their performances and the rest of the schedule here. Semi-Finals will take place at the Royal Academy of Music on Tuesday. The ten semi-finalists will collaborate with professional musicians in Dvorák’s Terzetto in C major, Op. 74 and perform their choice of a Beethoven Sonata with piano followed by a virtuoso work of their own choice. April 10, 2016 at 02:12 PM · Thank you for sharing this. Such a pleasure to watch these young violinists!